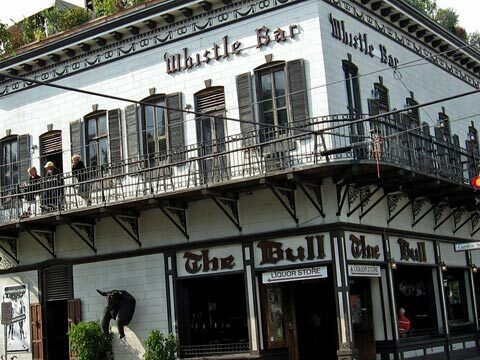 Welcome to The BULL Key West The Bull and Whistle Bar, located at the corner of Duval and Caroline Streets in Key West Florida, is the last of the old-time Duval Street open-air bars. The Bull is open 7 days a week featuring a rotation of great live entertainment and an atmosphere that brings you back to the heart of Old Town Key West! With all of the changes and evolution that Key West has gone through, The Bull remains true to the Old Town heritage. The walls of the Bull tell the story in beautiful hand painted murals of people, places and events that make up the colorful background of this tropical paradise.